I am the new advertising person for Orleans Raceway in Belding, MI. They are open and have races on Fridays and Sundays! Fridays they have cars and Sunday they have Mud Bogging!! Please come and see us at the track. If you have any good information that would help us get this started it would be greatly appreciated. We will be getting a new website so hopefully it will be faster to load. If you have any questions please email us at marketing_made_easy@comcast. net or feel free to call us at 309-351-7095 and will be glad talk to you!! Spread the word about the track we have about 3,000 fans per week and growing!! And about the phone number I will make sure that we get a machine or voice mail with the information about the races. How? It looks abandoned from the ariel. Glad to see it though. orleansraceway is 5 miles east of belding take m44 to canfild rd go north to kiddville take a right approx 1/4 mile we will be open for friday racing 08 gates open 5. 30. 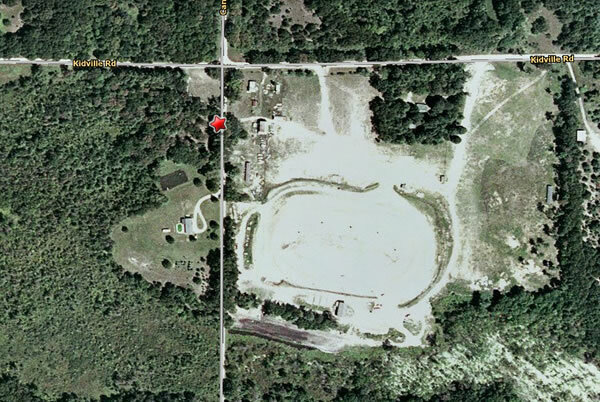 Here is a site showiing some MI racetrack info http://racereview. com/michigan. htm. SOME of the wedsites might be out of date or changed, but it does give descriptions of different tracks. just kinda interesting. thats cool the web site says its a new track dont look like it has a bunch of cars though they need to advertise more good job people for opening a new track and good luck hope i can make it to show. After further research, there website is: http://www. orleansraceway. us - I have high speed internet and it took about a minute for the site to load, so be patient. But it looks as though they are open and racing on Friday nights. this is what I found out about Orleans Raceway: TRACK SIZE: 3/8 MILE HIGH BANKED CLAY OVAL RACE DAYS: FRIDAY NIGHTS: MMA MODIFIEDS, LATE MODELS, PRO STOCKS, STREET STOCKS, BOMBERS & 4 CYLINDER MODIFIEDS PHONE: 616-794-2810 (no answer or machine for this # - I called on a Thursday morning) DIRECTIONS: 4. 2 MILES WEST OF SR 66 ON SR 44, THEN 1. 6 MILES NORTH ON CANFIELD RD. , THEN 0. 2 MILE EAST ON KIDDVILLE RD. There is definitely a image of an oval at that address if you mapquest and do an aerial image. Someone has to have info about that track.